aren’t autumn and winter the best seasons for beauty products? the excitement of seasonal stock such as candles, gift sets and calendars is brewing up. everything is packaged nicer and you can actually put makeup on and enjoy it rather than it sliding down your face. I also enjoy pampering and intense skincare sessions more because a stormy day and raindrops on your window just make for a cosier setting. I even had to get my wool socks out again to keep my feet warm and toasty. I already had a look at the seasonal lush stock and I haven’t been as excited in a while. for now, I try and keep it autumnal with beauty rather than accidentally getting full on Christmas too early. 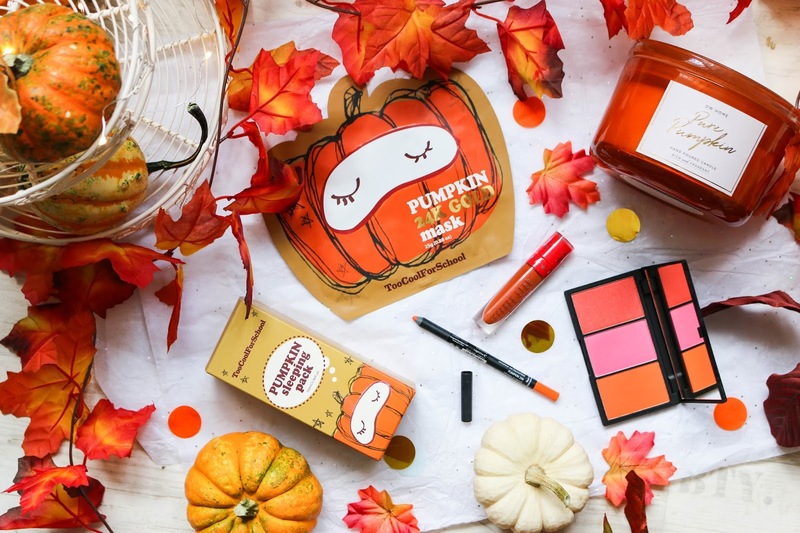 whilst looking through my beauty stash, I found a fair few pumpkin themed or named products and what’s more fitting for the time? nothing. so in honour of autumn truly starting I thought I would share said products with you. its currently storming outside and I couldn’t feel cosier of I tried. when I got into beauty, sleek blush palettes and sleek blushes, in general, were all the hype. to be fair, I still love them today and think there’s nothing like them especially for the price. one blush palette is not only very autumnal when it comes to the actual shade of blushes, but the names are also very fitting. its the Sleek blush by 3 in pumpkin. the shades inside are lantern, squash and p pie. does it get any better? the names alone make me want to use it this time of year and knowing that I like the quality too makes it even better. another sleek product I really love comes in super handy as I’m a big fan of orange lipstick. not only in autumn but all year round even though I feel more drawn to it when it’s actually getting colder. the sleek eau la la liner in pumpkin is the perfect true orange which I also wear by itself is my go to when I want a very clean orange lip. it actually is the perfect pumpkin orange. one of my favourite oranges to wear has to be the Jeffree Star velour liquid lipstick in pumpkin pie. it was part of a holiday collection and its beautiful. its the perfect true burned orange with teeny tiny flecks of shimmer. the shimmer doesn’t take away from the matte illusion but adds such a lively detail to it. I’m obsessed with it and Jeffree Star liquid lipsticks are just the most comfortable to wear. 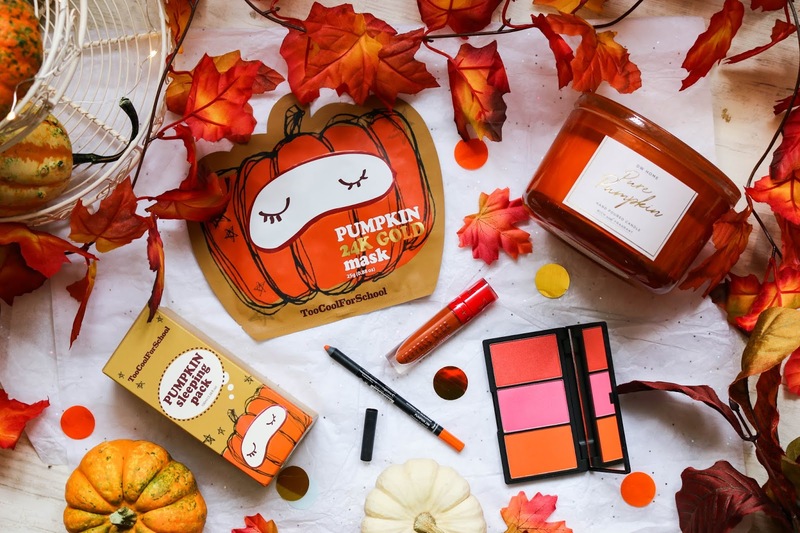 so, the lush halloween collection is out and I will go ahead and get myself a ton of sparkly pumpkin bubble bars but I still have two pumpkin products for my pamper time and I couldn’t not share them. one I actually haven’t tried as I’m saving it for the ultimate pamper evening. its the too cool for school pumpkin 24k gold mask. it just sounds so good and I can’t wait to use it. the other one I have used already and loved too. it’s the too cool for school pumpkin sleeping pack. it’s an overnight hydrating and exfoliating mask. I love an overnight mask and I don’t have to watch the time and wash it off. it left my skin feeling super soft and nourished after which is always lovely and it makes me feel so autumnal too. 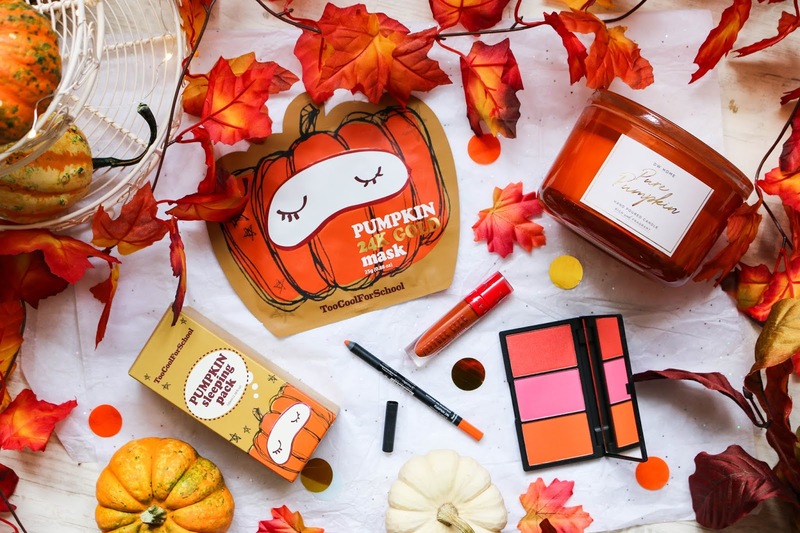 so here we have some beautiful pumpkin-themed products and I love to use them all. 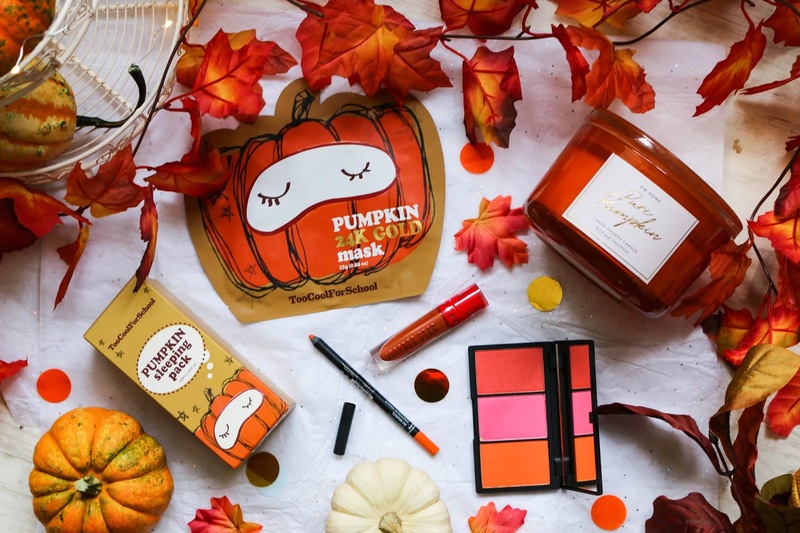 are there any pumpkin products you love? please let me know. "4 Autumn Activities Worth Doing"